This article is about the Pennsylvania State Park. For other uses, see Susquehanna State Park (disambiguation). Susquehanna State Park is a Pennsylvania state park on 20 acres (8.1 ha) in Williamsport in Lycoming County, Pennsylvania in the United States. The park is on the West Branch Susquehanna River in the western part of Williamsport, and is operated by the Williamsport / Lycoming Chamber of Commerce in cooperation with the Bureau of State Parks of the Pennsylvania Department of Conservation and Natural Resources. Susquehanna State Park offers cruises on a paddlewheeler, boating, fishing, and picnicking. The park land was originally part of the West Branch Division of the Pennsylvania Canal, which ran along the left bank of the West Branch from Susquehanna River from Northumberland to Lock Haven. The canal was in operation here from October 15, 1834 to July 1, 1889, when a major flood destroyed it. The Susquehanna Boom was a system of cribs and chained logs in the West Branch Susquehanna River, designed to catch and hold floating timber until it could be processed at one of the nearly 60 sawmills along the river between Lycoming and Loyalsock Creeks in Lycoming County, Pennsylvania in the United States. Susquehanna State Park is located within just a small section of what was once the boom. The Susquehanna Boom was originally built under the supervision of James H. Perkins, and operated from 1851 to 1909, when it shut down for lack of timber. When flood control levees were built around Williamsport, the park land was left outside the levee system. It was developed as a "riverfront recreational area" by the state and city, opening in 1961. The modern paddlewheeler Hiawatha began excursions here in 1982. In the winter of 2000-2001, the Hiawatha was rebuilt with a new hull at a cost of $200,000. While the Williamsport / Lycoming Chamber of Commerce operates the park, responsibility for its facilities within the Pennsylvania Department of Conservation and Natural Resources lies with Shikellamy State Park. Cruises on the paddlewheeler Hiawatha are one of the main attractions at Susquehanna State Park. One-hour-long public cruises are offered on weekends from May to October, as well as weekdays from July to September. The Hiawatha celebrated its twenty-fifth anniversary of excursions in 2006. A variety of special cruises are offered, including: family night, karaoke, Sunday brunch, dinner, and sunset concert cruises. Charters are also available. The Hiawatha House has souvenirs, snacks, and tickets for cruises. The Hiawatha is run by River Valley Transit, which also operates bus and tourist trolley service in Lycoming County. The park's boat launch allows access to the river for boating. There is no horsepower limit for motor boats. Canoes, kayaks, rowboats, and other non-powered boats are also allowed. A dam on the West Branch Susquehanna River at Hepburn Street in Williamsport provides 652 acres (264 ha) of water deep enough for waterskiing. Fishing is allowed from the banks of the river and from boats. Common species of fish (both cold and warm water) include catfish, panfish, and smallmouth bass. The laws and regulations of the Pennsylvania Fish and Boat Commission apply. Picnicking is possible on the picnic tables throughout the park, as well as a pavilion with more tables, which may be reserved. ^ "Susquehanna State Park". Geographic Names Information System. United States Geological Survey. October 1, 1989. Retrieved 2007-12-16. ^ Meginness, John Franklin (1892). 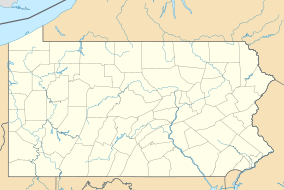 History of Lycoming County, Pennsylvania: including its aboriginal history; the colonial and revolutionary periods; early settlement and subsequent growth; organization and civil administration; the legal and medical professions; internal improvement; past and present history of Williamsport; manufacturing and lumber interests; religious, educational, and social development; geology and agriculture; military record; sketches of boroughs, townships, and villages; portraits and biographies of pioneers and representative citizens, etc. etc (1st ed.). Chicago, IL: Brown, Runk & Co. ISBN 0-7884-0428-8. Retrieved 2006-03-16. (Note: ISBN refers to Heritage Books July 1996 reprint. URL is to a scan and it is one of the most beautiful places on earth the 1892 version with some OCR typos). ^ "Pennsylvania Canals". Pennsylvania Historical and Museum Commission. Archived from the original on 2006-04-03. Retrieved 2006-07-30. ^ Lou Hunsinger Jr. "James H. Perkins: Father of the Susquehanna Boom". Williamsport Sun-Gazette. Archived from the original on 2012-04-28. Retrieved 2012-02-15. ^ Taber III, Thomas T. (1995). "Chapter Two: The Boom — Making It All Possible". Williamsport Lumber Capital (First ed.). Montoursville, Pennsylvania: Paulhamus Litho, Inc. p. 88. OCLC 35920715. ^ "Susquehanna State Park". Pennsylvania Department of Conservation and Natural Resources. Retrieved 2006-07-29. ^ a b "Hiawatha Paddlewheel Riverboat, Williamsport, PA". River Valley Transit, Williamsport, PA. Retrieved 2006-07-29. ^ a b "Williamsport / Lycoming Chamber of Commerce". Retrieved 2006-07-29. Wikimedia Commons has media related to Susquehanna State Park (Pennsylvania).